As I have mentioned in an earlier post I have been living in Northern Finland for the last six months. 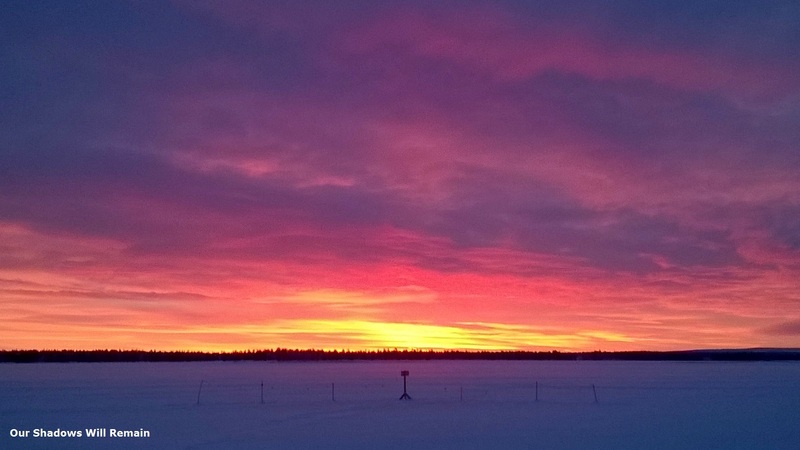 During that time I have already experienced the Kaamos, a period of time during the winter when the sun does not rise above the horizon, lasting for about two weeks. Now the summer is here and it brings with it the Midnight Sun. I have seen the midnight sun a few times before when living in Helsinki but not for this long. Mid summer is traditionally celebrated by staying up and watching the sun never set. Living in the North means that daylight hours are more varying and extreme. In winter there can be 2 hours of light (with no sun) a day. In summer it can be 24 hours for well over a month! Even after that there is technically a sunset and sunrise but not a noticeable difference in day and night. My next sunset July 15th. Times for sunrise, sunset and daylight hours in my area.